- Hello, my friends, happy Tuesday. It's that time of the week again. Welcome aboard to Transformation Tuesday. Tonight, I'm going to be diving deep into how do we live in more alignment, how do we be the greatest, most authentic expression of what we truly are? And I get this question a lot from a lot of people, you know, how do we create habit change, how do we live in greater alignment, how do we make decisions that are in our highest interest, and there's a lot of conflicts that exist within us where we know we should be doing something different, but for whatever reason, we're not able to make that decision, we're not able to make that choice to make that decision to make that behaviour change, so I want to unpack what's actually happening. How do we rectify living out of, well, first of all, how do we know if we're in alignment or out of alignment? Then, once we have that awareness, what do we do about it? What are the actions, what are the protocols, what are the processes, what are the techniques, what are the strategies, and then how do we keep ourselves accountable ongoingly, to embody being the highest expression, the most authentic expression of ourselves? So that's what tonight is about. Welcome, Katrina, welcome Monica, and for those that are watching the replay, hello, guys. I'm always looking for questions, I'm always looking for a specific challenge that you guys are having, so please, by all means, Guy is on the call tonight, if you're having challenges, please send us a message and I'll just drop it through on the call tonight and I'll answer it for you. And for those that are watching the replay, please send through your questions, and I'll endeavour to answer them next week. So, let's start. Hey, Monica, thank you for the love. 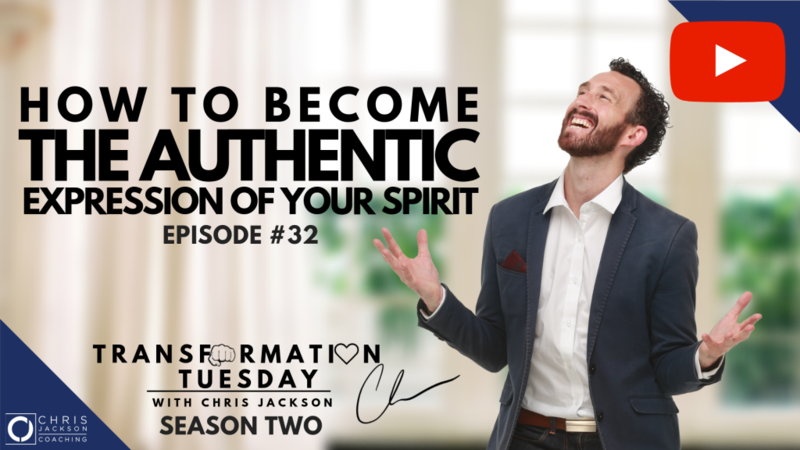 So, really, let's unpack this topic, let's get deep into how do we live a more authentic life? How do we live in alignment with the true expression of who and what we truly are? Because, let's face it, there is, when we've grown up with either a lot of conflict, we've grown up with habits, we've grown up with conditioning, there's, for those of us that have been around for quite a few decades, there's a lot of negative programming that's been present in our neurology, in our habits, in our way of being, and we've got to get to work on stripping away any of those elements that are not serving us to the highest degree. So we've got to become ruthless with looking inward, taking a look a what's not serving, what's not authentic, what's a conditioning, what's a limitation, what's something that's been imposed upon us by some kind of condition outside of ourself, and how do we strip away that layer of limitation. How do we then create a new way of being? How do we step into a new empowered way where we now become autonomous, where we become sovereign, where we now have access to a totally new, free way of being who and what we truly are? So this is the ultimate skill in life is distilling and having awareness around well, how do we know if we're in alignment? So here's the first unpack. Self-awareness is always the first step, right? Now, what do I mean by self-awareness? Well, we need to start to get clearer about well, where are we out of alignment. Whereabouts in our life are we out of alignment? Now, out of alignment with what? Now, when you think about alignment, we're talking about a line between two points or an angle pointing at something. So alignment with what? Well, we need to work out, well, where are we now and where do we want to be? What's the true authentic expression of ourselves and we work out well, what's the path that we want to be heading in? Now, we need to have awareness of self, where we're at. We need to have awareness of where are we going, and there's some fundamental concepts that we need to have awareness of. Awareness of what? Well, we need to have awareness of our purpose. We need to have awareness of our vision. We need to have awareness of our values. We need to have awareness of our habits. We need to have awareness of all the decisions, the habits, the programmes, the behaviours, the conditioning. We need to be aware of whereabouts have our parents infused belief systems into us, where has maybe religion, society, our upbringing. We need to become really ruthless with pulling apart everything that we are, not from the perspective that we are broken or that we need fixing, but from the perspective of when we make a few adjustments, and we take out some of the broken parts of the engine, and replace 'em, we now have a final functional model of the world and ability to create results. So the first perspective I want to offer you in this whole process is not that we are broken, that we need fixing, or there's anything wrong with us, no. And it's not, 'cause if we have that approach, then when we approach personal development, when you go to look at the misalignment, when you go to take a closer look at self, you're not going to be that enthusiastic or inclined to really actually want to take a proper deep look at it and acknowledge what needs to get acknowledged. So I'd encourage you the frame to view this whole experience through is one of curiosity, one of great, no one's perfect, we don't have to have our stuff together, that's okay. Let's go searching for the things that are not serving us so that we can like, the metaphor of pulling a weed out of the garden. Let's pull the weeds out so the garden can grow. Now, you'll probably find that you don't need to rip out the whole garden, there's just a couple of weeds in there that need to get pulled out, that are going to let the garden grow, that are going to let you become empowered to transform nearly any part of your life. So have that viewpoint, first and foremost, that it's not about diminishing yourself because you have work to do. We all have work to do. I've got work to do. Doesn't matter, every single person in the world has work to do. So if you have an attitude and a philosophy of great, flexibility, playfulness, lightness, it makes this whole process a hell of a lot easier and actually kind of an empowering, beautiful experience of expansion. So I encourage you to try on that lens and notice how the experience changes. So, alignment with what? Well, we've got to, first of all, work out, well, what is our true expression, what is our true self. Now, in order to know that, as I said, we need to have awareness of a lot of different things. We need to have awareness of purpose, our values, our vision, our habits, our behaviours, our decisions that we're making, and then there's a whole range of sub-decisions, there's sub-patterns. You know, for example, some of you on the call might relate to, great to see you, Mike, welcome. Some of you might relate to the pattern of people-pleasing. Right, now people-pleasing is saying nice things or feeling like compelled to go and go to a party, or go to a Christmas lunch, or do something to validate or to make someone else feel good. Now, I don't know about you guys but tell me if you can relate to it, and ever, at some point in your life, feeling either guilt or a sense of obligation to go and do something even when you didn't want to. Well, that's a classic example of people-pleasing. It's one example of people-pleasing, if we feel like well, we need to turn up or say something in order to make that person feel good, and it's not coming from a pure place. It's not coming from a heart space place, it's coming from a fear and resistance place, it's coming from our ego. So this is a key distinction that we need to have awareness of is well, where am I stemming from right now, right? What's the source of the origin of this decision? Am I stemming from a place of love, or am I stemming from a place of fear? Now that's a key distinction. Thanks, Mike, and welcome, Todd, good to have you here, mate. And so that's a key distinction is am I stemming from a place of love and connection or am I stemming from a place of fear and disconnection? So this is the key distinction we need to make in the moment when we're becoming aware of the misalignment. Right, because the misalignment exists, but we need to say, well, why am I misaligned? How am I misaligned? Well, if you're making a decision based on fear, resistance, judgement , limitation, making other people feel good, all right, out of obligation or a sense of guilt, then, yeah, that's going to be a pattern, and it's typically a pattern, I certainly did that pattern for a long time, it's a pattern that's deeply ingrained. It gets taught to us from an early age. So that's one example of we need to become aware of patterns like that, like people-pleasing, like which is essentially outsourcing our sovereignty. People-pleasing is outsourcing our sovereignty. There we go, I've just created a new quote. People-pleasing is outsourcing your sovereignty to the desires, and the wishes, and the purposes of someone else, not you. So, if you are outsourcing your sovereignty, i.e., if you're not honouring what you truly desire, then you're going to be out of alignment, and I can tell you what, it's going to show up in a number of ways, right? Now, this is just a fact of reality. When you're out of alignment, life is going to give you awareness of that lack of alignment. Now, disease might show up in your life. Feelings of regret, feelings of resentment, feelings of bitterness, feeling like you're not being the true authentic expression, like you're not being fully self-expressed, like there's a part of you that you're holding back. So these are all the parts of self that we need to look within and shine light upon and inquire within, with a playful attitude, all right, great, where am I out of alignment, right? Where are you not speaking your truth? Where are you not being your authentic expression? Where are you saying something to make someone else feel good? Right, now, again, I want to postulate and I want to suggest, I might be crazy here, but hear me out. Maybe a more moral principle to operate in this reality is the principle of being truthful and sharing the truth, or our truth, as opposed to wanting to feel good, or wanting someone else to feel good. Because feeling good is a very, very low quality aspiration in terms of looking at principles. Truth, and the pursuit of truth, and honouring what is true, that's one of the highest principles that exists in this universe, so kind of like the law of gravity, truth is one of these universal principles and universal truths that exists in this reality, and if you don't honour the principle of truth, either within self, or within the parameters we live in, well, guess what? If you're living your life not based on truth, i.e., dishonestly, and not acknowledging what is present and true within you, well, voila, you're going to end up with misalignment, you're going to end up with suffering, and you're not going to be empowered and expanded. So I encourage you guys to try on some of these distinctions and test them out for yourself, like don't just trust my word for it, test these out. Use these as thought experiments. Try them on. When you try all these principles on, they make a lot of sense, and when you feel into it, that will resonate. So try that on. Is it more important to be comfortable or is it more important to speak the truth? Now, yes, that might bring up a lot of stuff for you, it certainly brought up a lot of stuff for me and I'm still on that journey of being 100%, radically honest, I'm not there yet, but ultimately, it's a journey of letting go of the layers of conditioning, of people-pleasing, of wanting others to feel good, of avoiding conflict, of avoiding feeling bad, and we need to have the courage, vulnerability, and strength to stand in our authority to be the expression of the highest truth that we have, and fight for that truth. So this is some of the concepts that are creating maybe some of the suffering, or some of the dysfunction, and some of the misalignment. I have this conversation on a daily basis with clients and this is one of the reasons, whether it be there might be people in your life that are no longer serving you. Who of you can relate to having people in your life, right, that are either in your life that don't really add any value, you know, they've came into your life at a point where you had something in common, but you maybe no longer have something in common. Tell me if you can relate. Give me some acknowledgement if you're either in a position, or you've been in that position, or you know someone who's in that position. I've certainly been there, and the thing about that is it's not an easy position to be in. However, what you need to confront is the truth, the truth of are you in alignment, are you in resonance with that person any more. Is it serving you? And another key distinction I want to bring up in and around this is the concept of honouring self. Now the word honouring, the term that I'm using for honouring, is a combination of love plus respect. When love and respect come together, that is honouring. Now, if you are honouring of self, think about well, what does that even look like. If you are truly loving and respectful of you, does that mean you're spending time with people that don't serve you? Does that necessarily mean that you're putting chemicals or substances in your body, or foods that aren't serving you? Does that mean that you're going to procrastinate? Does that mean that, you know, when you get into a conflict and you know that you actually want to share something that's going to expand the other person, but you're playing it safe and not wanting to actually share your truth because it's going to be uncomfortable? Is that honouring self? So you've got to look into to what degree are you honouring yourself. That's a core question that every single person needs to ask in every single dimension, including levels of honesty, levels of nutrition, health, relationship, finances, career. How aligned are we to all these different dimensions of our life if living the most purest authentic version of us? And we've got to ask am I truly honouring self? Now, only you can answer that, and you will have your own definition of well, what is honouring, how much is loving self. And this is a concept you have to contemplate, you have to have awareness of this concept. Otherwise, if you have no awareness of honouring, you won't be able to honour yourself. You won't have the distinctions, you won't have the gauge points in place. No, okay, when am I out of alignment? Like how much healthy food do I need to eat to be in alignment or honour self? Like, is drinking alcohol honouring myself? Is maybe having a sip of alcohol, maybe having a full beer, maybe having a case of beer? At what point do you now start not honouring self? These are the concepts that you have to look within and come to an awareness, and understanding, and a decision within you of what is truly honouring self. And come to a place of acceptance and love of whatever you decide, and you've got to be truthful. You've got to take a look at well, if you're truly honouring yourself, what are you doing, and an example of my own personal life is alcohol. And for something like alcohol, I've made the decision, for this year in my life, I'm not going to drink alcohol. I just made that decision because I decided, well, am I truly honouring myself by consuming alcohol? Now, for me, it just doesn't really serve me any more, so I just made the decision I'm going to honour myself, I'm not going to do that. Same thing with my diet. My diet now is certain foods I will not eat, so I'm going to honour myself by not eating certain foods. There is also certain people or certain things I won't spend time on with any more because I'm not honouring myself, because for whatever reason, that no longer serves me. And that's fine, that's a perfectly beautiful thing to experience. And this is another concept in life, which is, for a lot of people, they never actually ask these confronting questions. They never ask well, what do I need to give up? What do I need to sacrifice? What do I need to turn my back on? What are the difficult decisions I need to make? What are the dying branches of the tree that I need to prune or trim off? So sometimes this can be a confronting conversation, but it doesn't have to be. It's only confronting if you're viewing this whole conversation through the lens of I'm broken, or something's wrong, or something's nasty, or something's, so we don't have to diminish or judge this whole scenario of improvement. We can look at it lightly and just say, look, I want to improve, great, what are the adjustments that we need to make? So those are some key concepts that I just wanted to give, because I think they give a perspective, a grander perspective, of how we view this whole concept of alignment. Now, once you start to become aware, when you become aware of, and I trust you guys are still with me, it just says my internet connection just dropped out a little bit. I trust you guys are with me, let me know if you can still, I don't know if the broadcast is still coming through. What we need to take a look at is the responsibility that comes with this expanded level of awareness. So, when this awareness of where we're now out of alignment, what we need to now do is we need to acknowledge that. We need to have the courage and the vulnerability to go, okay, you know what? I've got to take responsibility for that part. I've got to take responsibility for that part of my life and I'm not sure that you guys heard that last bit, but I'll just repeat that again, 'cause it just said my connection dropped out. But when this expanded range of awareness that we're now gaining through introspection, through analysis, through acknowledgement, through looking inward, and acknowledging the darkness, we now need to take responsibility for well, I've now acknowledged it, I now have to take responsibility for changing it. Because, if I now have awareness of it, but I'm choosing not to change it, well, we're aware of the misalignment. Now, to continue living long-term ongoingly in a world of misalignment is going to create suffering. It's going to create incongruence. It's going to create a sense of I'm not actually being true to myself. So it violates one of the highest principles of this universe, which is the principle of truth, to not actually acknowledge what that truth is within us. So, good to know. If we do have awareness of something you need to change, I mean refusing to change it or not actually changing it, well, we've got some problems there. We're going to have some challenges around that. So this journey, what we learn on this journey, you can't unlearn, right? Everything I'm sharing with you now, you can't unlearn this. When you become aware of something that's not functional, something that's not working, you can't unlearn it. You can't deny it. You then need to take responsibility for taking action, and this is where we teach ourselves how to trust ourself. This is where we teach self-love. This is how we honour ourself by having the awareness of the parts of ourself that we need to change, that we want to change, that we simply must change if we're going to live a functional life, where we're going to acknowledge, and meet, and create our desires. So I would say responsibility is a core principle that needs to accompany this. And you're probably gathering from this that what I'm talking about here is key principles to live your life through. It's less about the specific nuances and it's more around if you create awareness of these principles and whether or not you're acknowledging them, whether you're living this principles or not, it's kind of like gravity, whether you're aware of it, whether you agree with it, it's there, it's present. Well, it's the same thing with these principles, the principles of responsibility, the principles of honouring self, the principle of truth and acknowledging your truth. Now, when you argue with any of these fundamental, universal truths, you're going to create suffering, you're going to create a lack of connection, you're going to create incongruency. So it's really important to approach this whole perspective from the nature of yes, we need to change, we all need to change, we're all the work in progress, we're all evolving, and expanding, and moving beyond our limitations, and we've got to do the work. There's no shortcutting taking the time, committing to moving beyond our limitations and the only way we can move beyond our limitations is to acknowledge them, to acknowledge them, to be aware of them, to understand 'em, and then to take new action, then you correct your course correction, of course-corrective action, in order to change those. So I recommend, to make this tangible, what you want to do is you want to create a list. You want to create a list. Now start with a blank bit of paper. At the top of the list, you want to write, right, in all the different dimensions of my life, and I recommend starting with each of the major dimensions, so you've got career, or business, relationships, like social relationships, intimate relationship, finances, health, living environment, like all those sorts of major categories. Now, once you've got those categories, you then want to ask the question, well, where am I out of alignment? Where am I out of alignment? Now, again, you'll need to inquire within and this might take some reflection, take some work, to actually look at well, where specifically are you out of alignment, but you ask the question, where are you out of alignment? Where are you not honouring yourself? Where are you not loving and respecting yourself to the highest degree? Where are you not being truthful? Where are you not taking responsibility? Where do you want something to change, but for whatever reason, you haven't either raised your standards, or changed your beliefs, and again, this is another one, if you are aware of limiting beliefs, or limiting perspectives, or limiting attitudes, then you've got to change them. Now the great news is attitudes, beliefs, perspectives, they can all be changed. You can change your attitude. You can rewire your brain. You can eliminate limiting beliefs. You can get rid of all these things with personal development, with coaching, with transformational coaching, with all these tools, you can change absolutely everything about your way of being. And with all the research from neuroscience around brain plasticity, neuroplasticity, neurogenesis, we know that we can change nearly everything about a human being. So the good news is, once we identify something we want to change, there you go, you can't unlearn that information. You have to take action on it. You have to recognise well, I'm now aware of it, I've got to do something about it. So, in this list, you want to create a list of all the areas where you're out of alignment, all right? Out of alignment in terms of friendship groups, it may be people that you're spending time with that you shouldn't be spending time with. Maybe doing activities that you don't want to be doing activities, maybe roles and responsibilities that you've taken on that no longer serve you, that you don't want to do. So you've really got to take a look at every single element and then ask the question where am I out of alignment. Now, once you do go through that process, you'll, and I recommend you set this as an awareness exercise, so for the whole next week, put yourself on awareness watch of alignment. Where am I out of alignment? Right, where are you not expressing your truth? Where are you not being your true expression? And what will come out of that will be a whole long list of areas of misalignment. Now you probably already have awareness of a lot of these. Now the key thing is to have the list, to acknowledge the list, but then you look at each element, and you say, right, well, why am I out of alignment? That's the key question you want to ask. Why am I out of alignment here? How am I creating the misalignment? How can I take responsibility for the misalignment and what action do I need to take to course correct, to create alignment? Now that action might be a whole other thing, so let's make this tangible. It could be an example of friendship group. Maybe there's friends that you still hang out with and they just go out to nightclubbing, and they just go out drinking, that doesn't really do it for you any more, right? So you would say, right, problem, going out with friends nightclubbing, spending money, getting drunk, doing something I don't particularly resonate with. Problem, why am I doing it? Now it might be something like, well, I feel guilty for not spending time with them. It might be something like, well, I've got nothing better to do or I'm lonely. Well, again, these are fear-based expressions. You'll typically find, when you're out alignment, there'll be a fear-based limitation that becomes present to you. You become aware of the limitation, you know? So you've now got to take on the list that actually needs to say well, why am I out of alignment. Where specifically am I out of alignment? What are you choosing to do? Are you honouring self? Are you being truthful? What needs to change? So you've got to start asking some of these powerful questions around each of these little areas of misalignment. Now, yes, there's going to be an infinite number, potentially an infinite number, of these little misalignments in all parts of our life, and that's why we have to look at our life under a microscope. We've got to dissect and pull apart every single element and create awareness of these. Now, again, I'm harping on about awareness, but awareness is the first step. If you're not aware of the alignment, the misalignment, you can't change it. You'll just be experiencing a fuzzy disenchantment with your experience and you won't know what. So you got to get really specific about well, what misalignment. Is it your career? If it is your career, what part of your career? Is it just aspects of your career, or your business, or totally out of alignment? Do you need to leave your job? Do you need to go and do something different? Do you need to go back and study? Do you need to go back and all these sorts of things. So you've really got to take a look at every single element and be willing to go into the darkness. Be willing to go through the uncomfortable feelings of acknowledging that darkness, and having the courage and the vulnerability to address it, to acknowledge it, to move beyond it. Because you can only move beyond something once you've acknowledged it. So this is the important first step. So have that list, call it your misalignment hit list, and put it on your agenda to truly go through that list, and create an exhaustive list of everything within your awareness, and set your intention to create an expanded level of awareness of that misalignment. Every element of your day from the moment you wake up to maybe go to sleep for the next week, I recommend you're on misalignment watch. Where am I misaligned? Where am I not expressing myself? Where am I not honouring my truth? Where am I not acknowledging and honouring my desires? Where are you living out of alignment? Where are you not honouring self? And then create a list, and once you have that list, you've got something to work with. You've got a recipe, you've got a hit list. You've now got something that you can now pull apart, and dissect, and go totally deep into. So this is a really important principle is we need to take all of our limitations and not only be aware of them, we're going to write them down, and we're going to put them on our agenda, and just smash through them. Because if we don't do that, well, we're just going to get busy, we're going to get caught up with life, and oh, I've got busy doing that, oh, I never got around to dealing with that limiting belief, oh, I never got around to getting clarity on my purpose, I never got around to focusing on that specific thing. So we can make excuses. We can say excuses like, oh, I don't have the time, I don't have the money, I don't have the resource. All those are just excuses. We have to take responsibility for all of these. If it is to be, it's up to us. All right, if it is to be, it's up to me. If you want to change something, only you can change it. And I recommend be very, very regimented in your approach. You've got to turn this, you got to turn personal development, and you got to turn your mastery of your life into a military operation. You got to get clear on all of the nuances of every area you want to develop. You want to create your life as a project, with sub-projects, right? You can think of your life as a major project with like elements of health, career, business, finances. You're setting up projects for every dimension of your life and then you've got sub-projects, and you got timelines, and you've got limitations. So you got to take this and you got to go the next level, if you want to experience the truest, the most authentic version of you, there's work to be done. And to not do the work is not taking responsibility for living at your expression, because your true expression can only be expressed when you've moved beyond the limitations, when you start to acknowledge what needs to be moved beyond. So thank you, Monica. Yeah, this is really important and, as you can get, this is the most important part of my life and I encourage you guys to be the same. When I say the same, I encourage you guys to prioritise self and the expansion of self in your own personal growth, ahead of anyone or anything else. It has to be. You've got to take the oxygen mask for yourself first before anyone else. And by you developing, expanding, and focusing on you and all of these limitations, you're going to exceed, and far exceed and expand, and be able to create an impact in this world that you maybe never even dreamed of, but it has to start with honouring self, doing the work, and really having the courage and the care factor to go into all the nuances, the nitty gritty, to take a look at every single element of darkness. And the thing about this is, until you go into the details, and into the darkness, and until you take the unconscious and make it conscious, then you'll just be experiencing not what you want. You'll be experiencing lack of alignment and you won't necessarily know why. So here's the thing and thanks that, Mike. The thing about this is the problem is never the problem. Every single challenge that we have in our life, right, once we actually know the true root cause of the problem, it no longer becomes a problem. It becomes a solution, right? So the thing is, if we have a problem, it's only a problem because we don't know the solution, or we don't know how to implement the solution, or our perspective towards the solution. So try it on, right? The problem is never the problem. The problem always lies at a logical level higher than what we have awareness of. So we just simply need to expand our awareness and then the problem, we gain access to greater resources to solving the problem, both neurologically, mentally, and emotionally. So I just want to leave you guys with some more parting wisdom in and around how you approach your list. So I recommend that your list becomes your hit list, just like you should have a list of limiting beliefs, you should have a list of goals, as well as a list of fears. I recommend that you specifically start to target misalignment and think of it through the frame of misalignment. Where am I not aligned? I want to be going here but I'm going here, what's going on? So again, in order to know that misalignment, you need to know well, what's your vision. What's your destination? Where do you actually want to go? Now, again, if you don't know where you want to go, well, that's going to create misalignment, because if you don't know what you want, you've got nothing to aim for. So that's an even higher quality problem. It's oh, I don't know what I want. Oh, I could have anything, and I don't know what I want, I hear it all the time. Well, the thing about this is it's simply a curse of having freedom, the curse of freedom, right? So there's plenty of other people that exist right now that are either in prison, incarcerated, they have zero freedom, they have zero choice in what they actually want. Now, if you're watching this, chances are you're not in that position, 'cause you've got access to the internet, and you've got a smartphone or a computer. So first of all, if you don't know what you want, then well, that becomes your challenge. If you don't know what you want, then stop complaining, and stop saying, oh, I don't know what I want. Just say great, you don't know what you want, so your objective, your mission, becomes figure out what I want, which is a process of getting clarity, getting direction, figuring out what's important, there's so much to this. It's letting go of all the, letting go of the needs of the ego, the need to judge, the need to know. A lot of these needs, it's a whole process of letting go of, but in order to let go, you need to understand, and have awareness of the things that are preventing us from creating what we want. So I just wanted to leave you with that hit list. You definitely want to review it. You want to, first of all, create the hit list of where you're out of alignment. You then want to review it and you want to then start to look at well, which of those, which of those is there any resistance around resolving. Maybe for some of you, it could just be a habit. It could be like, oh, I want to get up earlier and I want to go to the gym, right? Now it could be, if you're not going to the gym when you want to be going, you're out of alignment. Now, the reason for that misalignment might be well, maybe it's a habit, right? So, yes, we have some neurological habits. We need to rewire our programming. All right, so it could just be right, we need to change the habit. Great, it just simply means great, if you do it for 30 days, 60 days, and change your mindset, and actually generate some motivation, and tap into your why, yes, you'll change and course-correct that behaviour. Great, one down, 50 to go. So that becomes one perspective if it's habit change. Now, if it's deeper than habit change, i.e., if you need to make a confronting decision, maybe you need to break up with a partner, maybe you need to break up with a friend, maybe you need to do something. What you're enjoying and what you're lacking, what you need help with, please send me questions, send me comments. Always here to answer your questions, guys. Thank you guys for tuning in. Greetings again from beautiful Scarborough. As you can see, the sun is setting, and I might even treat myself to head down and check out a bit of the sunset later on, so wishing you guys a beautiful week. As always, much love and I look forward to seeing you again for next Transformation Tuesday. See you guys, bye for now.